Asian Champs Draw Live on AFL Asia TV! The official Draw for the 2015 AFL Asia Championships, to be held on the 17 October in Bangkok, will be held this Friday night 25 September at half time of the Fremantle vs Hawthorn match, broadcast live on AFL Asia TV! 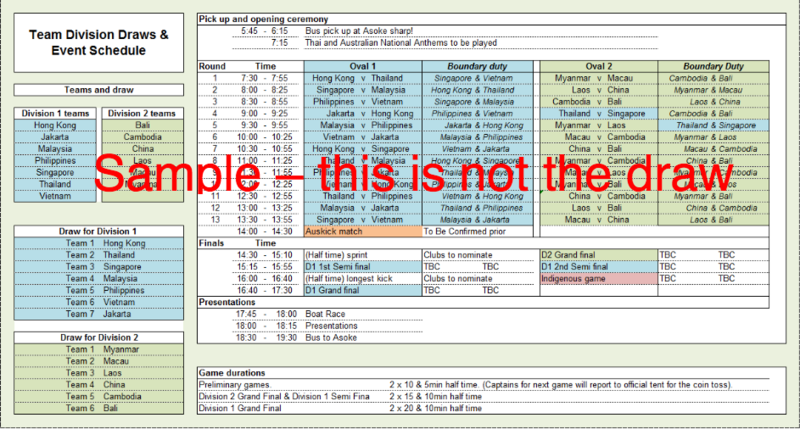 With all teams to play 4 qualifying games at this year’s Asian Champs and with 7 teams competing in the first division and 6 teams competing in the seconds, a random draw to decide slots for the preliminary games is necessary for both divisions. The Draw will be held at the Spotted Cow Saigon, where representatives from AFL Asia, the Vietnam Swans and Asian Champs hosts the Thailand Tigers will gather prior to the Swans vs Tigers clash the following day at RMIT Saigon. The draw will be conducted by AFL Asia foundation President and Asian footy legend Mr Phil “Fabbo” Johns. 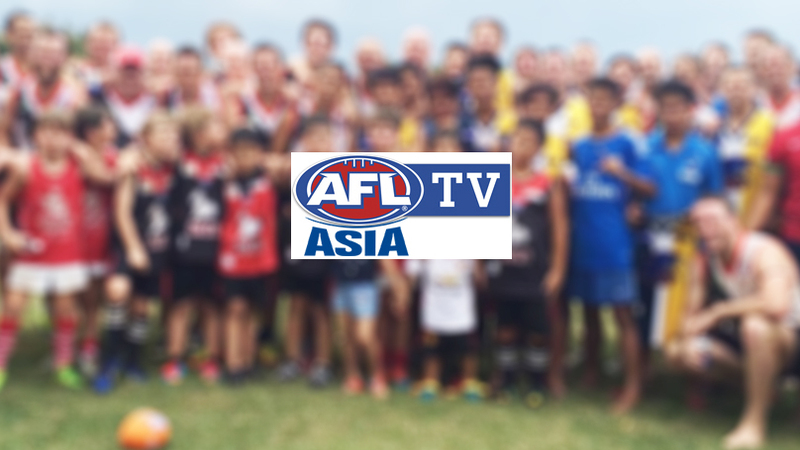 The broadcast, to be streamed via AFL Asia’s new channel on Ustream can be found here. AFL Asia encourages all teams to spread the word and gather around the computer to see who you will be playing in just over 3 WEEKS TIME!! To help inform what the draw will look like, download and print up this handy 2015 Champs draw guide and the Champs Schedule before gathering at your local venue with your teammates. Following the draw we will conduct a footy panel with Swans Captain Billy Crang and a Thailand representative to look at the form of the sides going into one of the biggest days of Asian footy ever held.